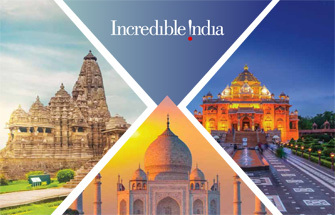 In 1949 the first Indian Travel Agent to participate at the 19th Annual Convention of the American Society of Travel Agents in Mexico, this inspired him to organize the fledging travel industry in India. 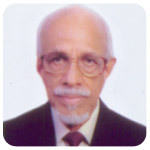 On 5th December 1951, TAAI - TRAVEL AGENTS ASSOCIATION OF INDIA was duly registered and Incorporated with Late Shri Nariman J. Katgara as the Founder President. 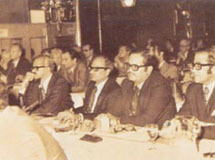 Has been the Association President for the longest period of time. Now Mr. Khanna is the Chairman of IHHR Hospitality; a leading Spa Company in the Country. He is now the Chairman of Select Holiday Resorts Ltd. 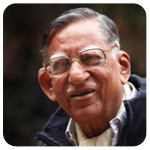 He was the first and so far the only Travel Agent - Tour Operator to be honored with a Padma Shri for his contribution to the travel industry. He has been in the Travel Industry since 1953 and has been President of World Association of Travel Agents - Geneva for three consecutive terms, President of American Society of Travel Agents, President of Pacific Asia Travel Association and Member of Tourism Board too. 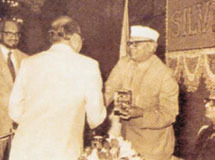 He was also the only Indian to honored by the British Tourism Authority with the Holder of the Keys to Britain Award. The Chairman of Lemuir Group and Director of DHL Lemuir Logistics Pvt. 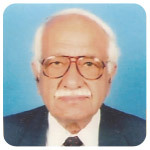 Ltd, he has been a pioneer in the international freight forwarding and logistic field , his vision has been acknowledged by national and world associations on whose managing bodies he has held key positions. 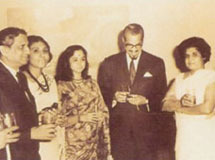 In the cultural field too, he is a top grade Sitar player and the President of Indian Musicology Society amongst other. 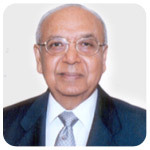 Chairman of the M K Sanghi Group of Companies, he has served as President of several leading Business Associations. 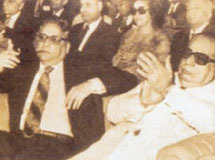 He has also served as the Chairman of Bombay city Red Cross Society and on the Executive Board of International Chamber of Commerce. He is the Honorary Consul of Portugal in Mumbai and currently the Vice Chair of ICC World Chambers Federation , Paris. 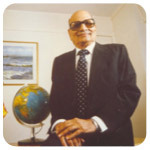 After studying in London he joined the International Travel & Cargo Company - Cox & Kings in Kolkata in 1953 and took over as the first Indian CEO of the Indian Operations in 1965 at the age of 37. 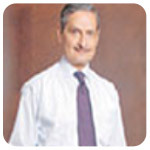 Later he joined Thomas Cook India Ltd as Director. 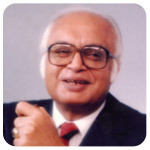 He was the first Thomas Cook representative to head TAAI, he was also elected to President of Freight Forwarders Association of India and The Air Cargo Agents Association of India while he was with Cox & Kings. He currently lives in Delhi. 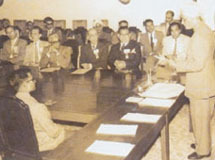 Chairman and Director of AFL Private Limited, the company through its travel division IndTravels received its license in 1946 in the first batch approved by IATA. In 2000 with a joint venture with Carlson Wagonlit Travel for exclusive Corporate Travel , the company's turnover grew seven times over. 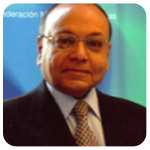 Mr. Guzder holds an Honors Masters Degree from Trinity College, Cambridge and he is the founder member of World Travel and Tourism Council Initiative in India. He has served on Boards of several blue chip companies and has also headed CII National Committee on Civil Aviation for four years.